Zion Williamson is expected to be the number 1 pick in the 2019 NBA Draft. Just last year, he was a Five-star recruit ranked as the No. 2 overall prospect in the class of 2018 by ESPN, in front of teammate Cam Reddish. In high school he averaged 36.4 points, 11.4 rebounds and 3.5 assists. Zion was named by USA Today to the 2017 and 2018 American Family Insurance All-USA Boys Basketball First Team. He also led the USA Red Team to the 2017 Adidas Nations Championship. Zion was also chosen to be the cover of SLAM Magazine. Born on July 6, 2000, in Salisbury, S.C. Standing at 6’7. 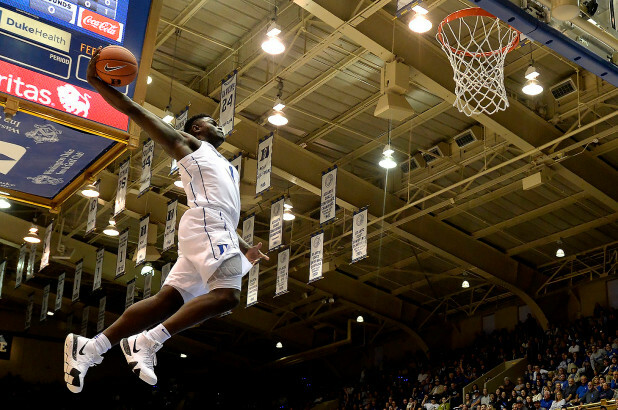 Zion possesses a wingspan of 6’10 and vertical leap of 40 inches. Weighing in at 285 lbs. and only 18 years old. Zion Williamson is a force. Basketball hasn’t seen a stature this gifted athletically since LeBron James. Three games into his Duke career, the Blue Devils are 3-0. Zion is averaging 25.3 points, 10.7 rebounds, and 3.0 blocks per game; while shooting 82% from the field. Zion is a force to be reckoned with.